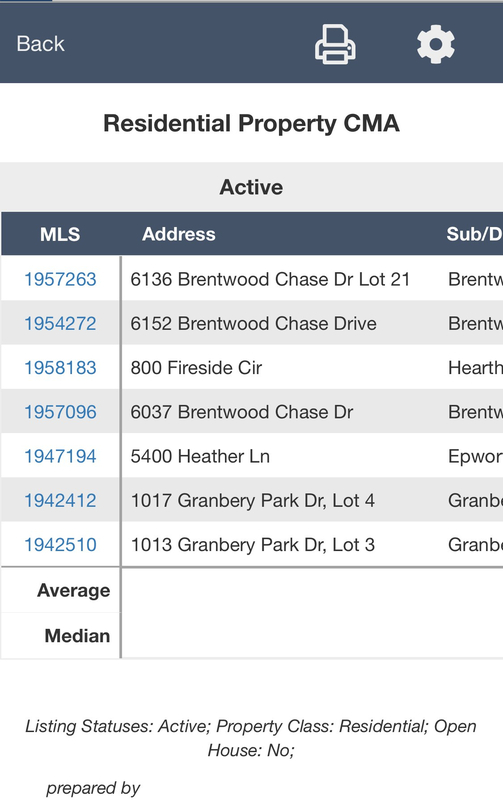 As of August 29, RealTracs’ users will see RESO updates to the multi-family, land-lot-farm, and rental class garage/parking fields in Add/Edit. This is a continuation of the parking updates that were started with Residential listings (see previous post). Going forward, there are two additional required fields when a multi-family, land-lot-farm, or rental class listing is input into the Add/Edit system: Garage Spaces and Garage Features. If a value of at least “1” is entered into Garage Spaces, a description must be selected from the Garage Features drop-down list to the right. There are also lists (options are shown below) to choose the features of your listing’s Carport or Open Parking Spaces. Individual Garage and Individual Carport are being replaced with Private in the Garage and Carport Feature lists. Posted in RESO, updates and tagged add/edit, updates on August 29, 2018 by Mark H..
As of August 15, RealTracs’ users will see RESO updates to the condo garage/parking fields in Add/Edit. This is a continuation of the parking updates that were started with Residential listings (see previous post). Going forward, there are two additional required fields when a condominium listing is input into the Add/Edit system: Garage Spaces and Garage Features. If a value of at least “1” is entered into Garage Spaces, a description must be selected from the Garage Features drop-down list to the right. There are also lists (options are shown below) to choose the features of your listing’s Carport or Open Parking Spaces. Posted in RESO, updates and tagged updates on August 14, 2018 by Mark H..
RealTracs is dedicated to making your experience on the MLS system the absolute best it can be, and the latest updates and improvements will make your time on RealTracs mobile better than ever! 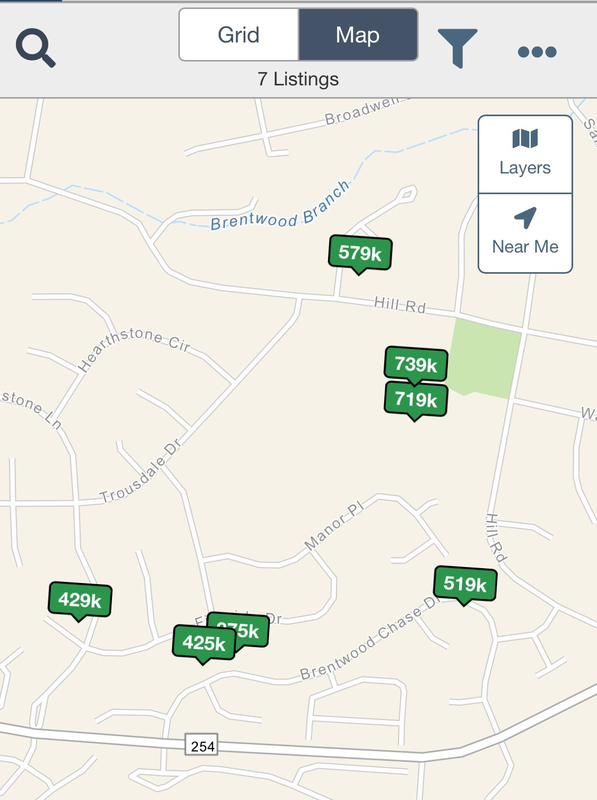 There is a new “Near Me Search” so you can check what’s for sale in your vicinity, a new way to browse the map for listings, an easy to use CMA tool, and more! Need to check what’s for sale in your vicinity? Easy! Simply enter the criteria of what you want to look for (price, bedrooms, etc. ), tap the blue arrow to set your location and then the blue Search button at the bottom. RealTracs’ mobile site will find all the listings around you that match. Search for “Near Me” listings by price, property status, beds or baths, and much more. You can even search for open houses close by! You found some listings, now what? Plenty! Need to see what else is in the immediate area? 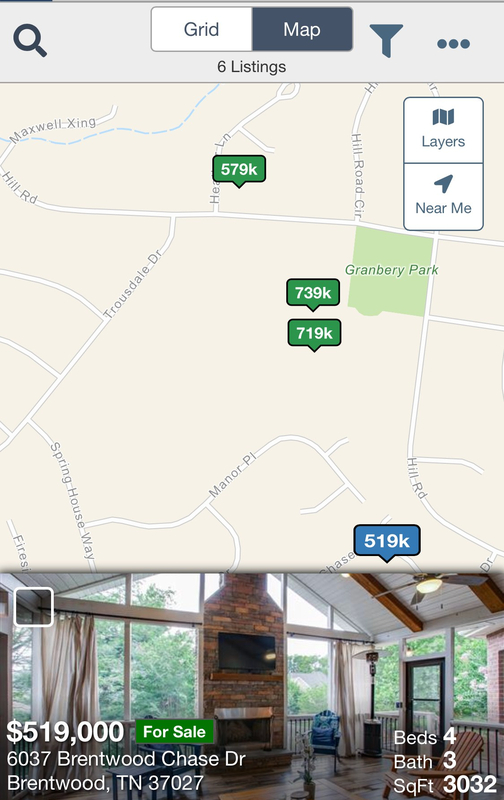 Drag the map or “pinch” the map to zoom in or out, and listings will appear on the map as it moves on your screen. You can also change the layer of the map to a satellite view which displays county names and borders – all with a tap! 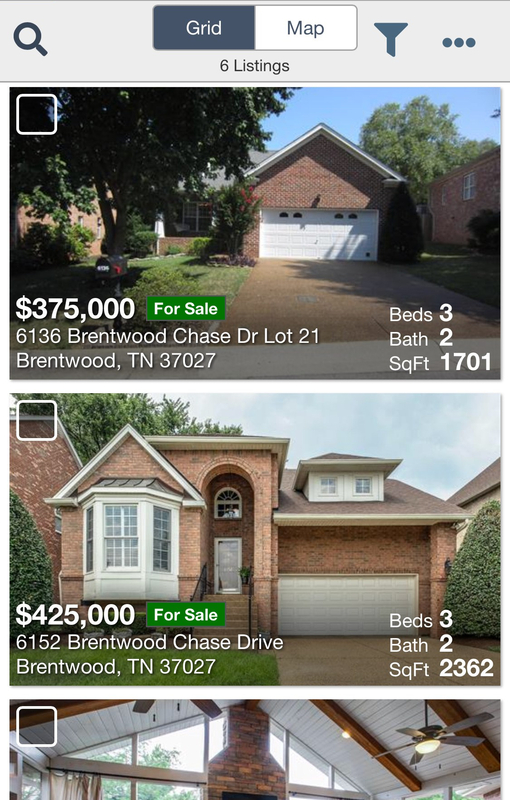 Preview the details of any listing by tapping the corresponding marker. Need the full details? Click the listing image for more information. 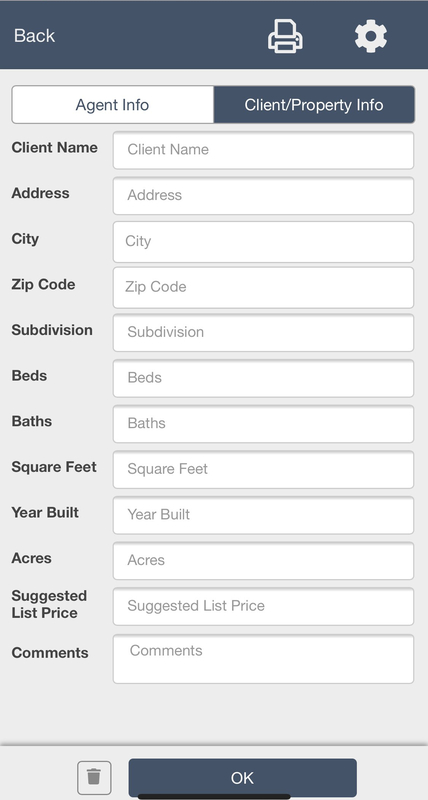 Tap the Grid button at the top of the screen to display a list of all the properties shown on the map. Change layers, select properties, and browse the map simply by moving it on your screen. For starters, the CMA layout is mobile friendly with improved readability. By tapping the more button (…) in the upper right corner, you can either share the listings you pulled or create, view, and print a CMA! 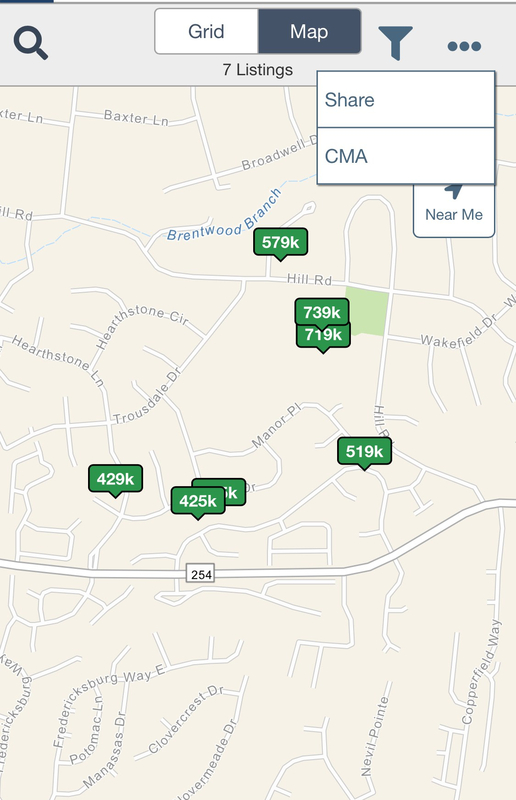 If you need to narrow down the selections, choose what you want in the Grid view by checking the listings and running the CMA again. It’s really that easy! Ready to customize and share the information? You have options there as well. Just tap the gear icon to enter your client’s information and property details. Add any comments you want, and click OK to save. You can then send the CMA to a printer by tapping the print icon. The wildcard (%) is back and available when searching for street names and subdivisions. Use the “%” to replace something such as abbreviations to start the street name. For example, you are looking for highway 96 and don’t know if “highway” is abbreviated or spelled out search %96, and pull the listings regardless of how “highway” is entered. Looking for Mt. Zion? Search %Zion. What about N. Main St? Enter you search as N%Main to find listings with N., North, or any other iteration of “north”. The same rules apply to the subdivision field for whatever it is you are searching for. What Good Are New Features if You Can’t Use Them? We never want that to be the case, and RealTracs has multiple ways for you to get help when you need it. Live training is offered almost every day at area REALTOR Associations and at the RealTracs office. 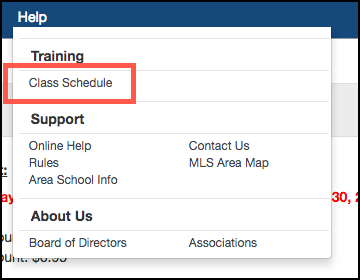 Classes cover everything from the mobile website, the CRS Tax system, to instruction on how to enter and manage your listings in RealTrac s. Our stellar training team of Bobbi Jo, Donna, JoAnn, Liz, and Kymberly are the best in the industry and a great resource for you. Trust us, we aren’t just saying that. To register for a class, click Class Schedule from the Help option in RealTracs.net. Classes are organized by the type of class or location, depending on what you select. We understand you are busy and might not have time to attend a class right now. That’s ok. We have a solution for you too! The RealTracs Help Desk is available Monday – Friday from 8:00 a.m. until 5:00 p.m. and on Saturdays from 10:00 a.m. until 4:00 p.m. You can get in contact with a technician via an easy online chat, by phone, or via email at helpdesk@realtracs.com. Posted in Mobile, updates and tagged mobile, updates on August 9, 2018 by Mark H.. Centralized Showing Services (CSS) integration is now in RealTracs. CSS subscribers can now add showing instructions from a new setting in the add/edit system so any RealTracs user can schedule a showing for your listing online! Under the Office Information section in add/edit (this is the second section down) you will notice a new required field called Showing Service. By default, this is set to Other, and the Showing Instructions field is still available, just as it has always been. For non-showing service subscribers, there is no change in the process. Upon confirmation of your listing being saved, a new button labeled Go to Centralized Showing will display at the bottom. This will sign you into CSS where showing instructions can be managed. You can also access the listing at https://showings.com/ with your CSS login credentials. Click the Schedule Showing link to load the scheduling page on Centralized Showings website. Follow the on-screen instructions. You do not have to be a CSS subscriber to use this feature. Simply click Schedule Appointments to continue. You will then select the day and time for your showing. Pick a start and end time, and then click the green Confirm Times button. Posted in css, showing, updates and tagged css, showing, updates on February 19, 2018 by Mark H.. There were a few updates and enhancements released to RealTracs.net today including a few changes to Add/Edit. Add/Edit: Acres selection tool includes option for “less than 0.25”. You can choose to enter either the exact acreage or select that the lot is less than a quarter acre. A lot-size value is required when exact acreage is not provided. See something off? Need help? Chat, call, or click the technical support team…they have the answers to all of your questions! Posted in RealTracs System, updates and tagged updates on December 19, 2017 by Mark H..
A new ShowingTime integration was integrated into RealTracs Thursday! Now, ShowingTime subscribers can add showing instructions from a new setting in the add/edit system so any RealTracs user can schedule a showing for your ShowingTime enabled listing online! Under the Office Information section in add/edit (this is the second section down) you will notice a new required field called Showing Service. By default, this is set to Other, and the Showing Instructions field is still available, just as it has always been. For non-ShowingTime subscribers, there is no change in the process. If you are a ShowingTime subscriber and wish to offer online scheduling, select ShowingTime in the Showing Service field. Showing instructions cannot be selected and will now be updated via the ShowingTime website after you make the listing active. Please note, this does not affect the Showing Phone Number. Upon confirmation of your listing being saved, you will need to open a new browser tab and sign into your ShowingTime account at http://showingtime.com, where showing instructions can be input. Any of your listings saved with ShowingTime selected as the showing service will display a Schedule Showing link in the Showing Instructions field found in the Office and Showing Information section (below). When a user clicks this link, they will be directed to your listing within the ShowingTime site to schedule their showing. Please note, users scheduling a showing time are not required to subscribe to ShowingTime. Click the Schedule Showing link to load the scheduling page on ShowingTime’s website. You do not have to be a ShowingTime subscriber to use this feature; however, you do need to confirm your contact information and agree to terms if ShowingTime doesn’t recognize you. Click Schedule a Single Showing or Add to ShowingCart to continue and follow the prompts. As you might have seen posted on the RealTracs home page and news, the original intent was to release CSS integration first. However, CSS is having some technical issues with integrating all of the MLS information, so RealTracs released ShowingTime first. Posted in showing, ShowingTime, updates and tagged showing, ShowingTime, updates on December 12, 2017 by Mark H.. Whether you want to call it coming soon, pre-marketing, taking a pause, or Aunt Sally and Uncle Rupert coming over for Thanksgiving, you can do just that with your property in the MLS with the Active – Not Showing status. The great thing about Active – Not Showing is that you can now list your property in MLS and set the date it goes Active – Showing for up to 30 days out instead of the previous 15! If you need to paint, make repairs, or get the visiting relatives out of the house, just set the status to Active – Not Showing and do what you need to do. Days on Market WILL NOT accumulate during the time your listing is initially set to Active – Not Showing. Need to take a break after the listing has gone to Active – Showing? You can change the status from Active – Showing to Active – Not Showing until your sellers are ready. You no longer need to withdraw the listing to take a pause! We recently released some additional updates on how your listing date is input in Add/Edit, and user-friendly shareable links, along with other important feature improvements. Check out the details at here. Posted in RealTracs System, updates and tagged system information, updates on November 15, 2017 by Mark H..